The absolute top level is when you have a no mobile site at all, and your desktop site doesn’t work for mobile devices. This might be because it’s too small or hidden behind code a mobile device can’t parse. This also affects heavily Flash-based sites. If this is the case, you might as well be completely deindexed from the mobile search results. You have some serious work to do to get your traffic back, though to be fair, you probably didn’t have anything other than bounces from mobile sources to begin with. What about blogger default mobile sites? 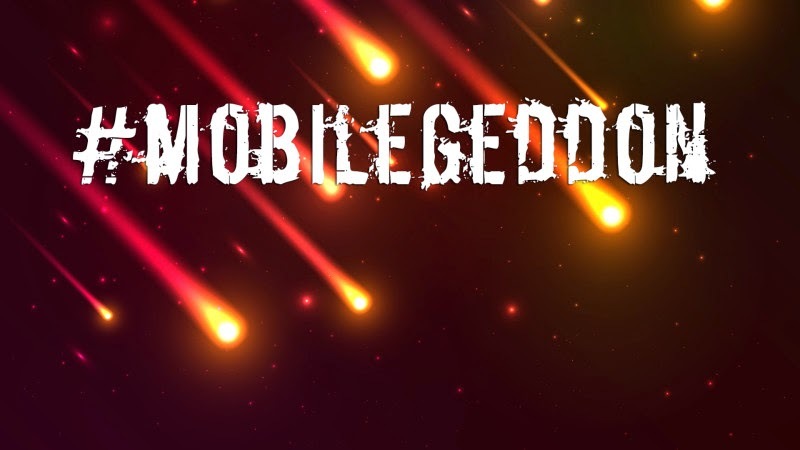 How mobilegeddon react toward those templates?? Blogger mobile templates are okay for time being. But in long run it effects your earnings. If you can make your website mobile friendly through custom coding then there is 200% chance that your earnings will double. I have faced the same problem earlier. So i have given this work to Mohammad for changes. And he did it very well. And now my website looks awesome in mobiles too.